Mr Trump has been quite vocal about his opinion regarding Amazon. But this time it has been a real concern for the USPS. As always a person with power was concerned with the government body not performing and the private company was to be blamed. There are some factors that we need to think about this case. 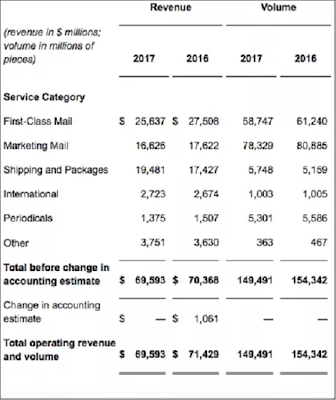 USPS has a monopoly in the field of first class mail but, its revenue from this segment is down by 40%. FedEx and UPS are its cut-throat competitor for the parcel and package shipment segment. Now Amazon has contributed significantly in the USPS by giving them bulk orders delivery since the inception of the Amazon. Parcel/Package delivery unit of USPS is quite a money maker as compared to other businesses. The USPS has currently modified its rate and as of now there has not been any change in the rates, but after this Tweet the prices can change but, it all depends on how much this price changes that the market of amazon will be affected. 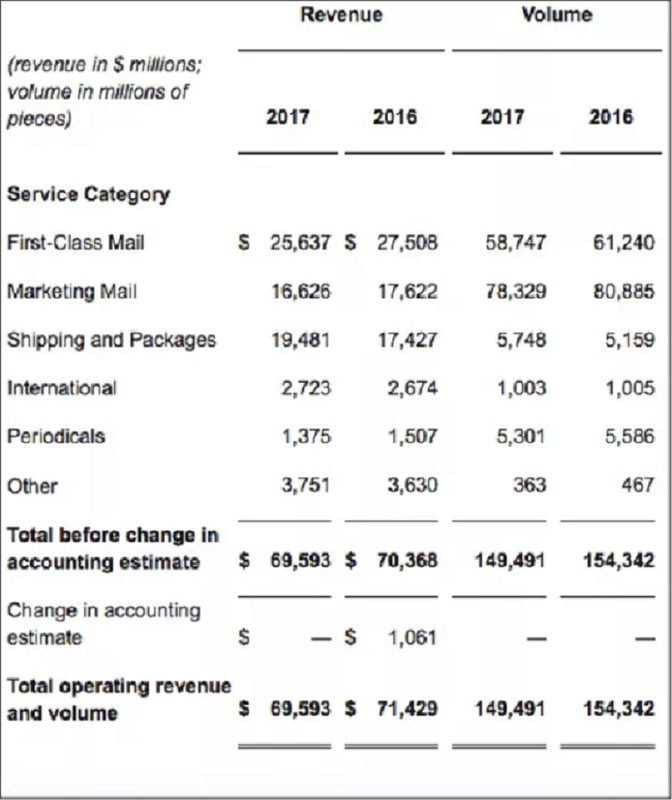 Since Amazon was getting big discount from USPS what seems here is that USPS was dependent on Amazon NOT vice-versa because it brought the heavy orders for sufficing the thirst of USPS. Obviously the price of the package delivery will go up but, since Amazon has an upper hand in this case the cost wouldn't escalate that much. This escalation in delivery cost will be added in the net cost and the price that Amazon flashes on your beautiful laptop screen will go up by a decent margin. However this wont affect the shopping experience and other factors but it might cost Americans on their pocket. Since people are dependent on the retailer so much that they would shop less for sometime but, will again hop on the wagon and the number of orders will keep on increasing. This might affect the topline for 1st quarter but, it would become normal by the beginning of the 2nd quarter. So in a short run the prices can be seen going south and by the next year mid the prices will be seeing an upward tick and as the normal trend will follow. So keep an eye on the pricing policy of USPS. If it comes out strict on Amazon then stocks will suffer a huge time, but if the policy is mild on the company the festival will continue. Friends, Roman, Countrymen, lend me your ears !